There are many doubts that attack in a first purchase to shops and people living in China and especially if the seller does not tell you where to follow the parcel. So let’s see where to keep track of parcels shipped from China. 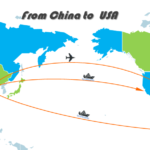 The first thing is to know that Chinese vendors use a multitude of shipping companies (usually similar to emails but there) through which they send the packages, so it is not strange that you can find even in the same order two or more types of code in saw or tracking. This is because they make the shipment thinking about the best way to send it (and also depending on the prices they give by size) so that the packages do not stand in customs and occur that kind of inconvenience. How many types of China trackings are there? The truth is that it is a bit difficult to realize, but we will try to encompass them all, for the moment you can say that there are a few, but we also note that there are urgent transport companies in addition to ordinary mail (which is the majority of cases). You could say that there are so many different tracking codes as transport companies that bring packages there. 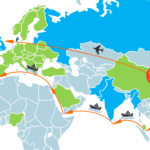 We will try to explain a bit the codes for us to understand and where to track Chinese packages. When will I receive the tracking number of my order to China? This is an important point, because you don’t always get this code. This type of code is available for packages that are sent by the service known as Airmail registered. This type of service allows us to track the package we have ordered with a small inconvenience, and is that it usually has an additional cost. When we place an order in any Chinese store we can find the shipping free, and then we can select other shipping modalities. Some of these stores will give us the code automatically if we spend more than some amount, and in other cases we will pay a few dollars (some dollars) for having this service. There already comes into play our need to be able to track, but of course, sometimes it is better to have a “test” that our package is on the way and not just wait to open a dispute. Usually if we have ordered a package in which we provide tracking service, we should receive it as soon as the seller requests the collection of the package (we should send it), and this depends directly on the shipping time (not delivery) that has stipulated the Salesperson, that is, the time it takes to prepare and send the package. As much is usually delayed for up to three days (after shipment) before it begins to be worrisome.